Google has a great educational site called the Google Art Project. I think the website can be used to enrich your homeschool student’s art education. So what can you do with this website? 1. You can view artwork from all over the world. The artwork is grouped by artist or collection. Artists and collections are listed alphabetically. You can search the works by keyword, medium, or whatever search criteria you want. New collections are being added often. So, if your child has been studying Vincent Van Gogh, you can go to the Vincent Van Gogh Museum to the collection of his work there. 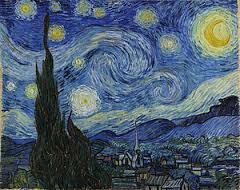 Then with a few mouse clicks you can go to the Metropolitan Museum of Art in New York to see more of his work. How exciting! As you look at the work you can also view details about the work and see when and where the work was created. 2. You can take a virtual walk through some museums and galleries just like street view on Google Maps. To see the galleries and museums that have this capability all you need to do is click on the yellow pegman at the top of the page. It will give you a list to choose from. At this writing there are 51 collections that can be viewed this way. You can even tour the White House and see the art and antiques there. 3. You can create your own collection of art. To do this you must sign in. Your collections are called My Galleries. As you view art work click on the Add to Gallery symbol to create your collection. As your child presents the collection, they could explain what attracted them to the work, or what elements of art are in the work, or what emotions the work evokes. The presentation could have required criteria depending on the child’s age. You might want the collections to have different themes such as works by women artists or art depicting events in the Bible. The choices for themes are only limited by your imagination. The collections that you create can be made public or kept private. Collections can also be deleted whenever you are finished with them. FYI: There are some problems with the website. The Google Art Project has some bugs. These bugs do not surface every day. So, when you go on the website one day everything may work just fine and on other days not at all. I am hoping that Google is working on that. Plus, using the street view to go to various galleries does not work if using an Ipad. I was really bummed by that! The Google Art Project is a site that I think will be beneficial to try. Let me know the types of projects you come up with using this website.